Search engine giant, Google launched it’s hexa-core smartphone, the all new Google Nexus 5X made by LG along with Google Nexus 6P in Indian market on 13th Oct. 2015 . Google Nexus 5X is up for pre-order from Tuesday, 2PM, though Amazon slated to go on sale from 21st Oct. priced at Rs. 31,900 for 16GB and Rs. 35,900 for 32GB in Carbon Black, Quartz White, and Ice Blue colour option. Google Nexus 5X first launched in USA priced at $379 (approx. Rs. 26,500) for the 16GB , $449 (approx. Rs. 32,999) for 32GB. Google Nexus 6P is up for pre-order through Flipkart will be available on 21st Oct. 2015 at Rs. 39,999 for 32GB and Rs. 42,999 for 64GB. The all new Google Nexus 5X supports Dual-SIM (Micro SIM), 4G LTE, 3G, NFC, Wi-Fi, Bluetooth, USB and GPS offers you a 5.2”-inch full-HD IPS Sharp JDI display with resolution (1080×1920 pixels) with with Corning Gorilla Glass 3, 438 ppi delivers stunning color consistency even in bright sun light from almost any angle perfect for watching movies, playing games and reading e-books. Google Nexus 5X runs on most advance Android 6.0 Marshmallow OS powered by a 64-Bit 1.8GHz Hexa-core Qualcomm Snapdragon 808 processor with Adreno 418 GPU and 3GB RAM with 16GB/32GB Internal Memory (no confirmation about MicroSD Card slot) variant will offer superior multitasking experience. 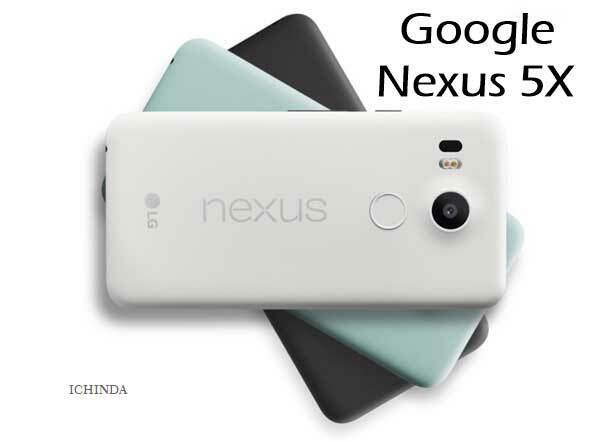 Google Nexus 5X sporting a 12.3-MP rear camera with dual-LED flash with Sony CMOS Sensor, with f/2.0 aperture and 5 element lens, two-tone flash, with a cold white LED and a warm yellow LED perfect for low light photography and 5-MP front facing camera will be powered by a 2700mAh Li-ion battery with battery stamina Mode and fingerprint sensor, and USB Type-C measures 147.0 x 72.6 x 7.9 mm and weight just 136gm. At last few honest word to say that the all new Google Nexus 5X is the best smartphone for multitasking. What you think? Please be open to give your view.